Relaxed, laid back, simple with a little height booster! 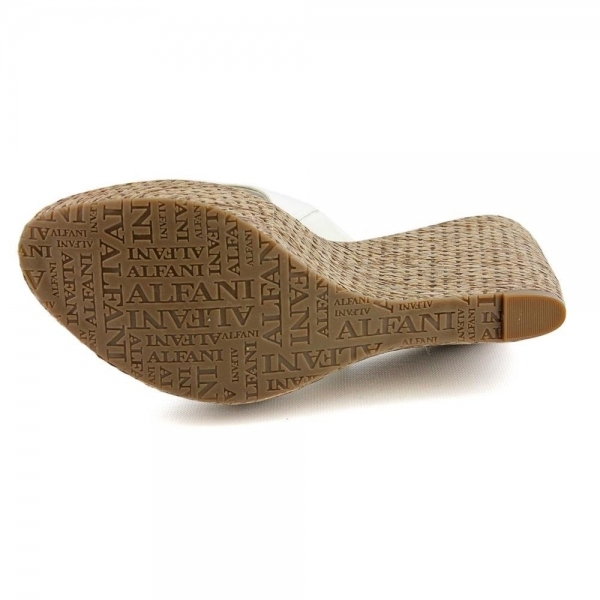 That’s the Alfani’s Leon Wedge slip on Sandal. 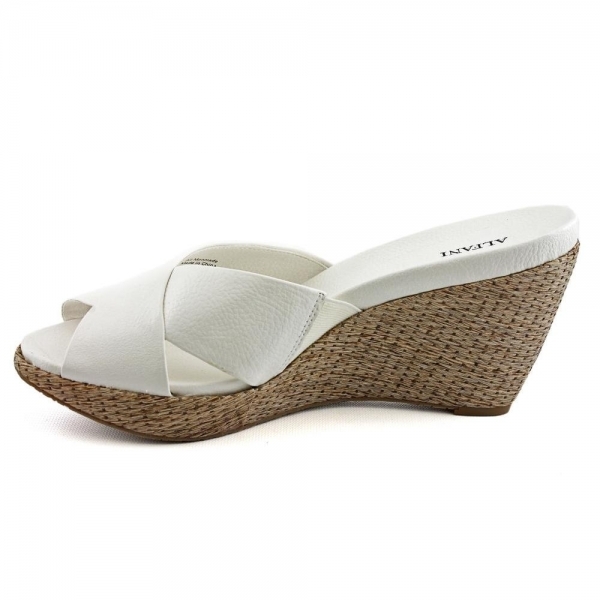 Featuring white faux leather upper, weaved, summery wedge. Get on and go!